Self-reflection is a big part of self-improvement. In order to be better in the future, you have to look back at the past. Look back to who you were, mentally and physically, who you are now and what or who brought you to this place. Now that I have written all the cheesy (but true) lines I could possibly fit into 3 sentences, let’s get started. Because self-improvement is self-love & hopefully we are all focused on that, I have collected 10 questions you can ask yourself when it’s your birthday, either relatable to your birthday or not, that will help you become more aware & reflect on your past year and the future. And if it’s not your birthday, save this article for when it is (& come back and see the gratulation again, anyway:) and then answer the questions. When you are answering this list, sit down for a moment. Take a deep breath, get a piece of paper and a pen and start. Forget all your fears about who may read it, what may be the truth or what you have to face and just start. Take 20 minutes out of your day to focus on you and feel better for the next 23 hours and 40 minutes. Because you deserve to grow & you deserve to be happy! What/who changed you in the past year? What made you go out of your comfort zone or what happened that forced you to change? Who helped you grow? Or was it perhaps yourself that changed you? It can be a small event or a person you haven’t known for a long time or perhaps a major happening shaped you, but whatever it is, dive into your brain & discover what changed you. What characteristics have changed? Whether you have gained, lost or changed characteristics, look back to the person you were a year ago, mentally, and who you are now. Perhaps you’ve turned into a more closed person or you have become more social? Are you more focused on work now or on yourself? Think about what your heart & mind did or would do (when a certain thing happened) at the start of your ‘year’ and how they have changed. Perhaps you can find several, which is great, but it’s also okay if you only find two or three. Do force yourself to look further than your first look, don’t stop after one characteristic. Did you make new friends or strengthen your relationships? This one is definitely a personal favorite. As I personally struggle with making new friends, challenging myself is hard but so freeing. Ask yourself: who were my friends last year and who are now? Have I gained new friends? If yes, how did it go and how is the friendship. If not, why not? Would you like to see a change in that, or are you satisfied with the friends you have now? And those friends you have now, have those relationships become stronger than a year ago? Have you given them your attention and love or have you been non-active when it comes to your friendships? 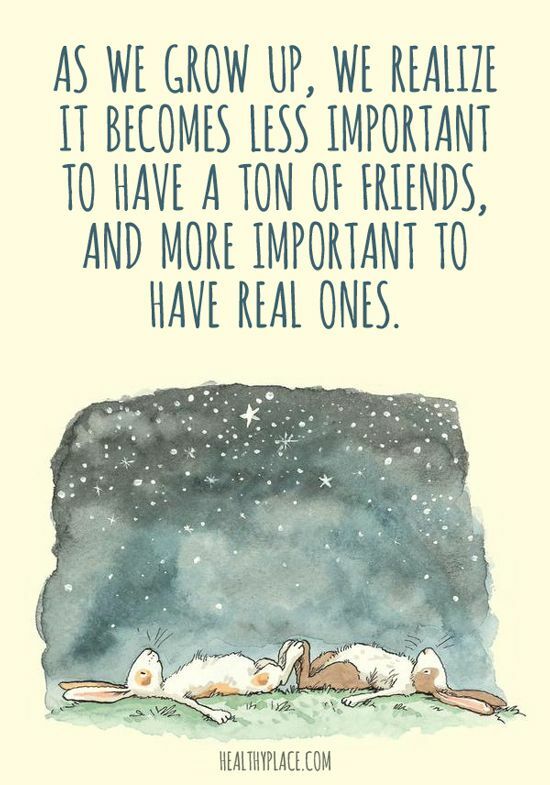 Friends are one of the most important people in your life. A couple of good friends can go a long way and support you a lot, so be sure to answer this question as honest as possible. Which people have affected you most this year? What people have either forced you out of your comfort zone or supported you when you fell back into it? Who made you laugh or cry the most? Is there perhaps a person that’s come into your life and changed it? This question can be taken to every aspect of friendship and life, so be sure to sit down and really think about it. 3. you really like them? Possibly, there is not much difference for you but hear me out. The first option speaks for itself. In this category, you can think of candles, deodorant or perhaps a blender. The things you genuinely need. Consider taking these items off your list, as they do not add personal value and will likely not make you extremely happy. The second and third options can be confusing. It’s time to focus now. You want something OR you genuinely like something? That T-shirt you have put on your wishlist; is it a T-shirt that will genuinely make you happy and you will keep for a long time or is it just another shirt that you think looks ‘okay’ on you but will never give you full pleasure when wearing? If it is the second choice, take it off the list as well. You can always buy this shirt or save money for it if you turn out to really want it, anyway, but if it will not give you value the way you will treasure it, it is not worthy of being put on your wishlist. Check your whole gift list (or the list of things you would want if someone would buy it for you) and start asking yourself, from top to bottom, if you need, want or love that item? Are you proud of the person you are becoming? Oof. That is a sudden and tricky question, right? Most likely, a question you would much rather answer tomorrow. And then push it away again, right? But it is time for the ‘deep self-reflection questions’. Think of yourself. Mentally, physically, the whole package. Are you proud of who you have become over the last year? Is the life you are living today the life you want to be living tomorrow and the life you had visioned for yourself? It might be scary to admit, I get it, but putting the truth on paper will give you insight and power. Are you behaving the way you want to or not? Are you living up to other people’s wills and expectations or do you do you? Look at every aspect of your life and be honest. Get motivated and feel stronger by checking out my ‘quotes’ board on Pinterest on dreams & fear! What new things have you done this year? Self-improvement is all about growth. And when do you grow? When you try new things. Have you done them this year? Have you tried something you’ve never done before or something you were afraid to do? These things can be small or huge but look back and look at how your mindset has widened after these new things. Try to name at least 5 things. If you can’t find 5 things, you have a new challenge for this year! What did you do that you were scared of at first? Now, this question hangs in with the last question, but of all the things you did this year, what did you do that you were afraid of? Perhaps you applied to that college you were afraid of getting rejected by or you made contact with a certain person? You went swimming somewhere you never dared to swim or you started your own business? Obviously, these are all big happenings, but these achievements can be of any size. Try to spot at least 5 things you’ve done this year that you were scared of. And with that, think of this past year and how you’ve enjoyed life. Try to take this point seriously in the upcoming year, as well. 10. What do you want to change next year? This is a big question, so focus & think. Think about every aspect of your life, all the things you want to improve. Physically, mentally, professionally, every aspect can be filled in. Maybe you want to work on your muscles or read more books (to find out why reading will improve your mental health, read here)? Spend more time with friends or write more letters to your grandma? Think about the small and big things in your life you want to change. Don’t be afraid to think out of the box or to write down something you are scared of improving because if you can dream it, you can do it. And that is the truth. Well, this probably didn’t take 20 minutes, he? Sorry for lying if you spend longer on this list, but it’s a good thing if you spend long on answering these questions. It means you have genuinely thought about them and answered them thoroughly. Please do review your answers every now and then, in order to get motivated again and grow even more. Want more questions and motivation? Read this 30-day challenge: live a more balanced & happy life OR read the 7 questions to ask yourself at the end of every month. You won’t regret it! Curious about what you can read on Intellectualdork.com? Lifestyle: various blog posts from the benefits of walking barefootto the 5 women who influence me the most. Read all the blog posts about lifestyle here! Enjoy your time here & follow me to be updated regularly! P.S. don’t forget to follow me on Pinterest and Instagram!